What happened at the last Hash? If you've half a mind to Hash ... that's all it takes ! Want to join us at 10 am every second Sunday in paradise? 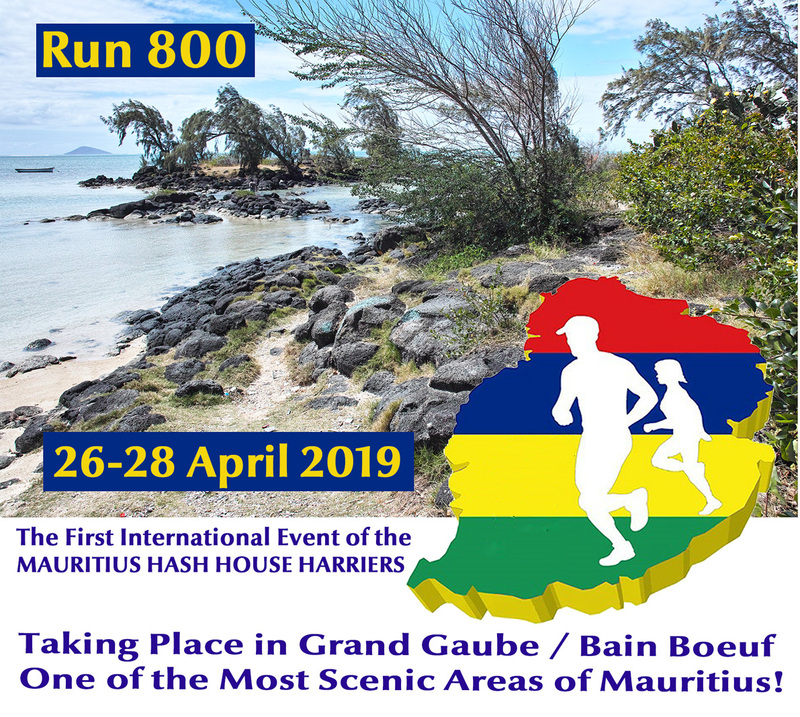 You can run or walk with the Mauritius Hash. We Hash at 10 a.m. every second Sunday. We meet in a different place each time. Select Next run from the menu at the top of this page to see when and where we will be meeting and how to get there. We don't charge for children under 12yrs but adults pay Rs 150 each to take part in the Hash. This includes the cost of drinks which are available after the run. Any surplus is used for other Hash expenditure and for subsidising the Hash Bash and Red Dress Run. You should pay Hash Cash before the run. It is important to register for the Hash in advance to help those organising the drinks and food (where applicable) to supply enough for everyone. Click Next run at the top of the page and follow the instructions to register. We all socialise after the run so you can bring nibbles to share around, it can make the day more enjoyable. We are currently organising a "bring and share" system for lunch. Each participant brings along a plate (for about 3 or 4 persons). These are placed on a table for all to share (a buffet). Please bring your own plate and cutlery. - and don't forget food for after the run (see above). We are a friendly group and everyone joins in at his/her own risk. Parents should look after young children at all times. We are a family Hash so there is no real humiliation, just the odd beer bath! 2. Use the Hash in Africa guide specially made by our wonderful, wandering hasher, Rey. For Hashers who like to move around, see Rey's "Hashing in Africa" Guide below (bottom of centre column).